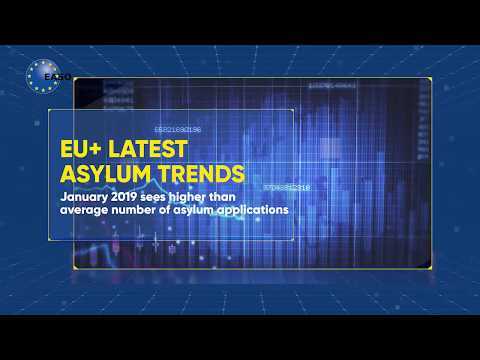 manage and store information related to case law concerning Common European Asylum System (CEAS) implementation at national and European level. serve as a comprehensive point of targeted information on national and European jurisprudence in the area of asylum through a compilation of relevant cases issues by national and international courts (covering both the Court of Justice of the European Union and the European Court of Human Rights). 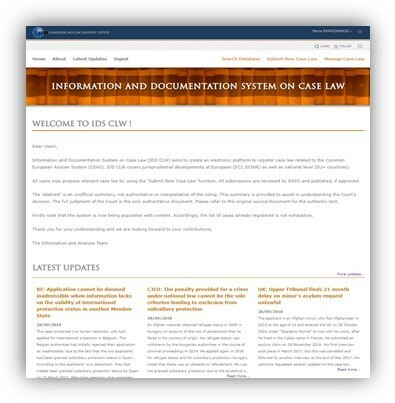 IDS CLW aims to develop as a unique common point of reference for all European and national information on asylum, ensuring consistency in approach and source data, and providing the jurisprudential counterpart to IDS and statistical data collection under the Early warning and Preparedness System (EPS). The tool was developed, addressing current information needs on CEAS Implementation in the member states. National courts: mainly (but not exclusively) decisions from upper courts.